June 1st is an International Day for Protection of Children. Every year, traditionally, our Foundation holds an art auction at the General Consulate in New York. 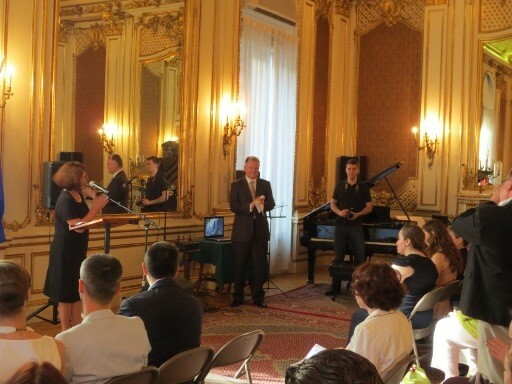 Consul General, Ewa Junczyk-Ziomecka graciously hosted our event. We collected various paintings and art work from foster homes at Jelenia Gora, Liskow, Tow. Im. Sw. Brata Alberta from Stalowa Wola, from Community Center at Elk and from Association of disabled Nike at Bialystok. 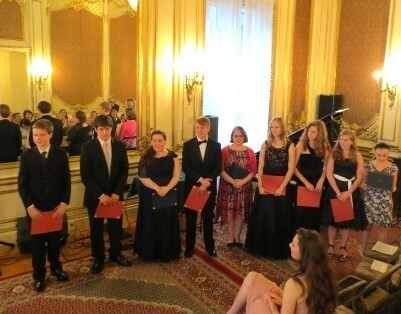 The evening began with performances by your artists from Ms. Bozena Konkiel's music school "Kobo Music Studio" and included Nicholas Kaponyas, Peter Plaskota and Kerri Thompson. 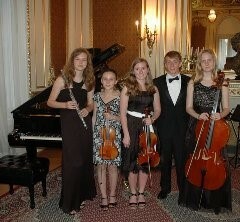 The Padarewski Quartet from Glen Head, Long Island played at the opening. Vocalist Tom Kozakiewicz, also sang for our guests. Our Director, Marek Skulimowski was instrumental in securing many works of art from various artists such as R. Olbinski, B. Kujawski, J. Kapusta and others. Mr. Skulimowski auctioned off the works, which netted $6,500 and the funds were allocated to children in Polish orphanages for a summer trip. Our summer festival "Usmiech Dziecka" took place on June 15th, 2013 in the backyard of the Holy Cross Parish in Maspeth. We had many attractions for kids this year, like a rock climbing wall, bouncing castle as well as arts and crafts table and face painting. Consul Mateusz Stasiek came to our festival with his wife and daughter. 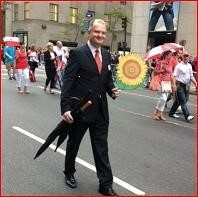 He read to children in the program "All of Polonia Reads for Children", led by Dobra Polska Szkola. This year's festival was special, in that we organized finals for the competition "Talent Show". Auditions were held a month prior to this event. Our jury consisted of Ewa Lewandowska, talented finalist of the Polish edition of "Got Talent", Wanada Czajka, Marshall for the Pulaski Parade from Maspeth as well as Polish Supplementary School teacher and owner of Kobo Music Studio, Bozena Konkiel. Our own Director, Waldemar Rakowicz, also a principal at Polish Supplementary School named after Pope John Paul II, was a juror as well. First prize went to Jan Ksawery Kwecien for his original recitation of poem "Lokomotywa" by Jan Brzechwa and won an iPod Touch. Second place went to Evalina Backiel from Glen Head, Long Island and won an iPod Nano. Both prizes were sponsored by Polish & Slavic Federal Credit Union. Third place went to a dancing duo: Julia Dolega and Maya Janicki. The pair won 2 iPod Shuffles sponsored by our Director, attorney Mariusz Sniarowski from the Perecman Firm, PLLC. Director Iwona Mienko, M.D. donated an electronic Kindle which was awarded to Martha Wachulec, who played Adele's "SkyFall" on the keyboard. Our guests were entertained by lively music by DJ Filip. We held a lottery during the festival, earnings from which were donated to David Miechur. 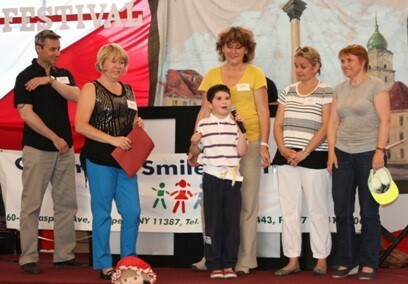 Little David came to New York from Poland for a consultation on a possible surgery related to a genetic disorder. We thank all of our sponsors for number of prizes donated for lottery including Krzysztof Rostek from Bridge Capital Enterprises, Andrzej Grzegorzewski from AG Contractors as well as Wizard Electronics and Polsat Inc.
On Saturday, December 7th, 2013 we held our annual "Meeting with Santa" Christmas party in the auditorium of Holy Cross school in Maspeth. We were honored to have Consul Agnieszka Torres De Oliviera from the Polish Consulate in New York as our guest. While numerous activities kept the children entertained, visit from Santa was the highlight of the event. Santa gave out presents funded by our sponsors. 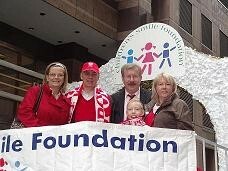 Our Foundation has sent $6,000 to various Polish orphanages for Christmas this year. 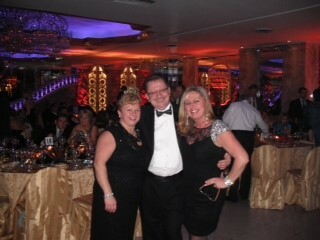 In a beautiful ballroom at Leonard's Restaurant 260 guests joined us to welcome the New Year. We celebrated dancing to "Remix" band. 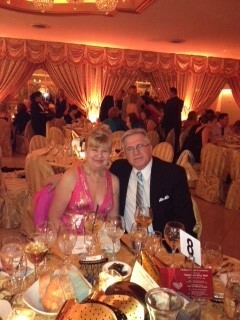 Attractive prizes have made the lottery held at the ball a success. In addition to an iPod purchased by the Foundation, a gift certificate worth $500 for travel overseas was donated by Mr. M. W. Boguniecki. AMTA also donated generous gift certificate and various travel discounts. We therefore raised $3,635 from the lottery and donated the funds to Michal Kucharski from Poland. Little Michal is scheduled to come to Cincinnati Children's Hospital for a surgery in April 2014. 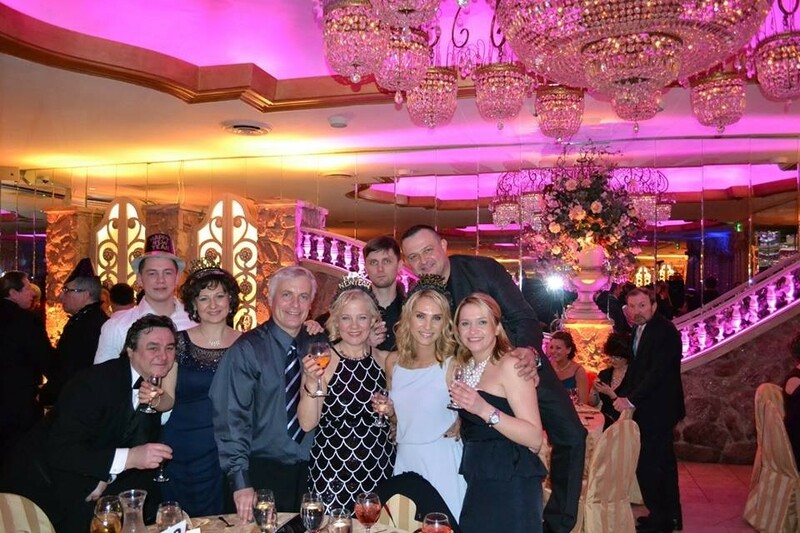 Traditionally, everyone welcomed the New Year at midnight with a champagne toast.